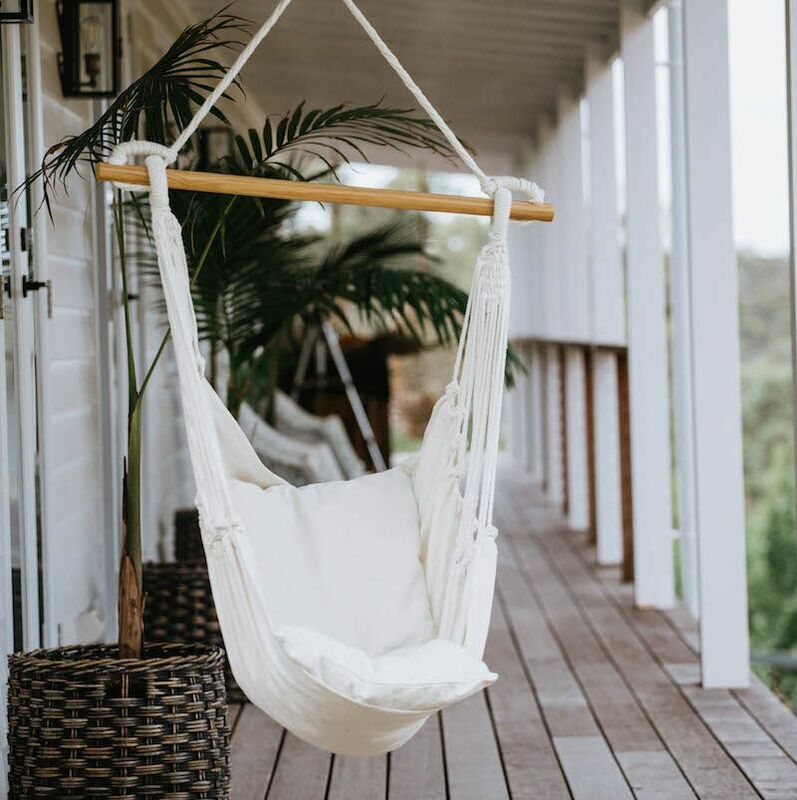 There’s a lot to love about the Noosa hammock swing, and it’s definitely one of your favourites too. So we wanted to share with you all our tips and tricks to getting the most out of your hammock swing. If you’ve been uncertain about where to hang it or most importantly, how to hang it – we’ve got you covered. Firstly let’s start with What’s in the box. 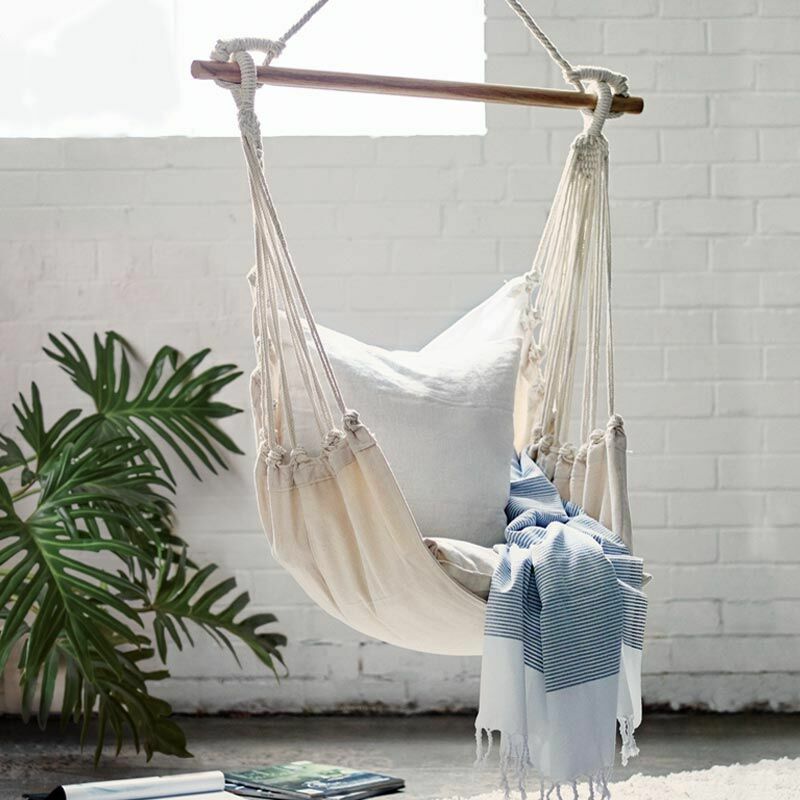 The Noosa hammock swing includes the hammock, the wooden spreader bar and 2 matching cushions with filling. Attached to the wooden bar is the woven rope and the woven O ring, which is where your rope or chain loops through for hanging. Hanging the Noosa hammock swing is nice and easy. The biggest decision you’ll have is where to hang it – inside or outside. Hanging your hammock swing inside is our idea of ultimate relaxation at home. 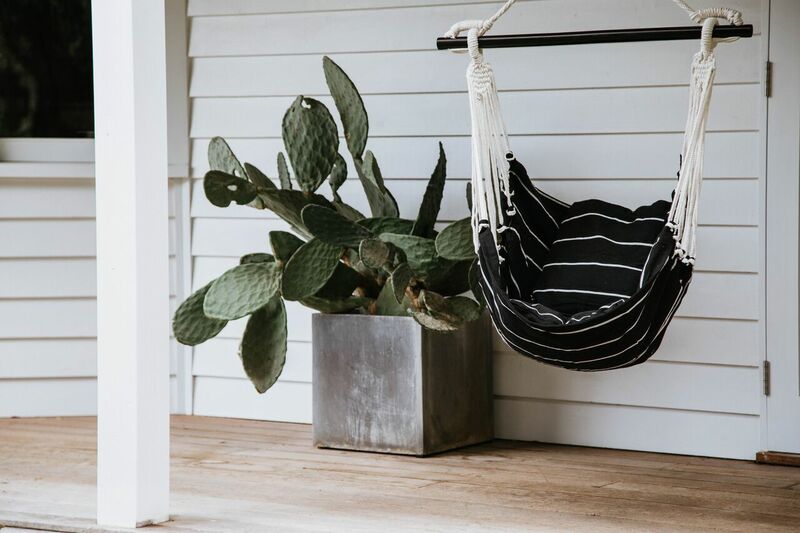 If you don’t have any exposed beams or rafters that would allow you to loop some rope over, you’ll need to hang your hammock from a ceiling joist. If you’re lucky enough to have exposed support beams that are sturdy to support you and your hammock, all you’ll need to do is loop some rope over the beam, loop it through your hammock woven O ring, tie your knot and relax. We recommend speaking to a hardware store or handyman about the best fixings and hooks to hang your hammock swing from the ceiling. Once you’ve found your spot and installed your hooks, loop some rope or chain through your hooks and into the O ring. If you’d like some extra strength we recommend adding an S hook or a carabiner to the O ring, which can picked up from your local hardware store. 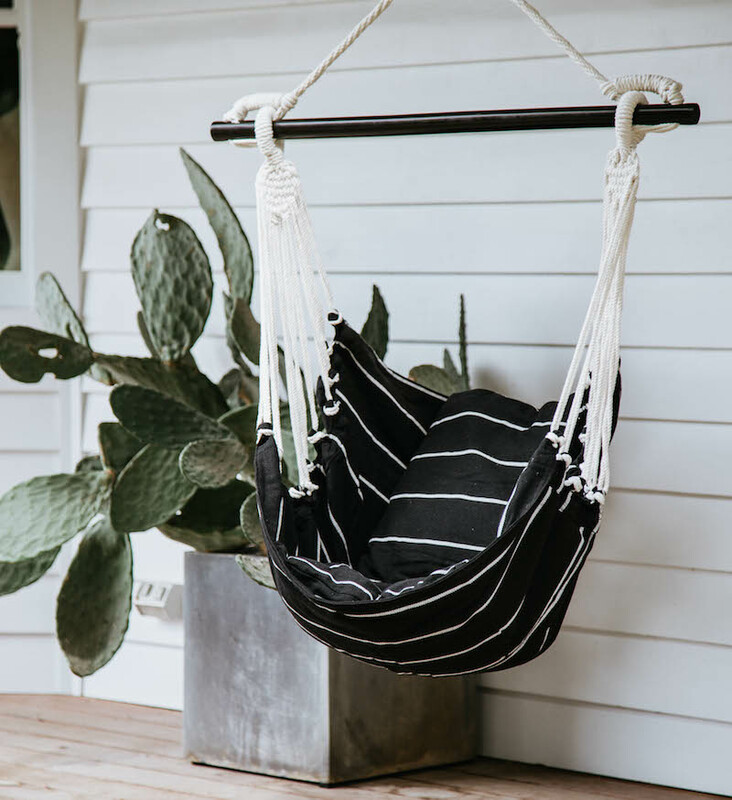 Hanging your hammock outside can be nice and easy if you’ve found a sturdy tree branch, balcony beam or rafter. 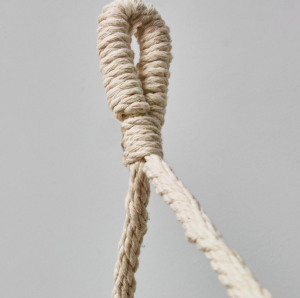 Simply loop some rope over your sturdy support, loop it through your hammocks O ring and tie your knot. Lastly, the main thing is to have fun with it, get creative and enjoy your hammock. Once you’ve chosen your spot and hung your hammock, we recommend adding a good book and a glass of wine!